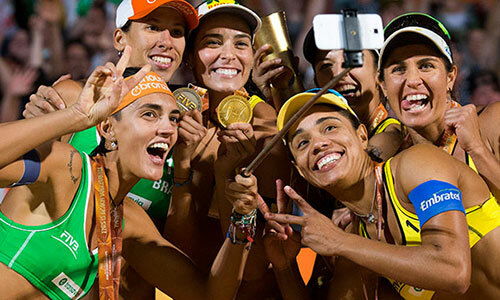 Who could be the favorites to grab medals in beach tournament in Rio 2016 Olympics? Let’s start with the Italian’s Men team that is out-strutting its stuff after being together for only two years. Ranghieri-Carambula have really shown the competition what being a non-standard team with complementing skills is all about. Winners of the Doha Open in Qatar by putting together a perfect 7/0 wins gives the guys their second pair of Gold medals, also making them a safe bet for the Rio Olympics this summer. The Italian Men’s Beach Volleyball pair, who started playing together in 2015, have already proven to be a formidable team with their win at Doha giving them their second Gold Medal. Watch for Alex Rangieri’s floating serves to throw off the timing of their opponents. His blocking skills have never been better. Combine those skills with Adrian Carambula’s speedy attacks from the middle of the net and you’ll see what makes this pair winners. Is there anyone that doesn’t love Women’s Beach Volleyball—especially when the players include Jennings and Ross from the U.S. and Laboureur/Sude from Germany giving each other a real run for their money? Kerri Walsh Jennings and April Ross are not only still among the best women’s volleyball players in the world, they might still be the number one team heading into the Olympics, having won gold the Fuzhou Open on April 24, 2016! O.k., Laboureur/Sudetook the Silver. Yes, this is hot news, friends. Third place went to the Swiss Women’s Beach Volleyball team of Nadine Zumkehr and Joana Heinrich. Their fellow Swiss team of Anouk Vergé-Dépré and Isabelle Forrer who were on par to win the bronze had to withdraw after Anouk Vergé-Dépré suffered an injury that prevented her from playing. This is the first time since 2015 that Heidrich / Zumkehr have made it to a podium. It may have been the injury to Vergé-Dépré that distracted and prevented them from finding their timing or it may have been that the tough German team used techniques that the Swiss just weren’t prepared for. On April 23rd, the U.S. Men’s Beach Volleyball team took the Gold beating out Italy’s top contender at the Fuzhou Open. Philip Dalhausser and Nicholas Lucena, the U.S. team played Paolo Nicolai and Daniele Lupo of Italy for the very first time ever! Spain’s Pablo Herrera Allepuz and Adrián Gavira Collado took the bronze in a close finish against Latvia. Allepuz‘s wife had given birth to his baby daughter and the new father had yet to be able to get home and hold her. No doubt with the end of this tournament in sight, he was slightly distracted and less focused than normal. Not only all the Olympic teams are watching these players, so is the binary option broker, Binary Uno. 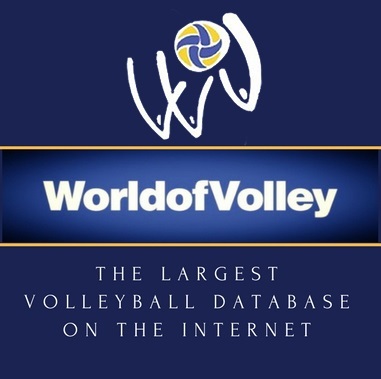 Rumors have it that the company is looking for a volleyball team to give money or potentially sponsor for the Rio Games. No one is able to confirm the rumors but if they’re looking for the best team, these pairs should come right at the top of the list.